It was the Wine Society that introduced me to Montreuil. My daughter had marked my latest birthday by presenting me with a lifetime membership, or share as it is known, to that august organisation, which at the time maintained what it called a “French outpost” in the historic town in northern France. That seemed a good enough reason to trip across the Channel to explore. Sadly, the “outpost” is no longer there, but there are plenty of other reasons to make the journey, as subsequent visits have confirmed. To walk through these ancient French streets is to follow in the footsteps of famous people, not least the Count of Ponthieu, Vauban, Henry V (possibly), Victor Hugo and Field Marshal Sir Douglas Haig, among others. Ponthieu was the man who in the ninth century created the first rampart walls that guard the town. Reinforced, added to and remodelled over the years, they remain Montreuil’s trademark image and carry the memories of giants of their times, including Sébastien Le Prestre de Vauban, Marshal of France, no less, and the foremost military engineer of the 17th century, who did his bit of wall strengthening to keep the community safe from would-be invaders. Today, the ramparts provide a healthy walk with views of the surrounding countryside. Henry V is rumoured to have scouted out Montreuil in 1415 on his way to a little place called Agincourt just down the road. Whatever the truth of that, a gateway in the Citadelle, of which the ramparts form a part, bears the coats of arms of local knights who left here to fight against the English at the famous battle. Next in line historically comes Victor Hugo, who is said to have drawn on his experience of Montreuil in his masterwork Les Misérables. As with the Henry story, the tale doesn’t bear too much scrutiny – Hugo was in the town for only a few hours in September 1837, apparently on his way to visit his mistress. 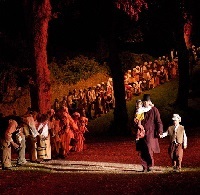 But its inclusion in the novel was enough to confirm the town’s immortality, and every summer the good citizens present a spectacular outdoor Son et Lumière version of the French Revolution epic which draws huge crowds, many of them Brits fresh from the Channel Tunnel about an hour away by road. Another catalyst to bring travellers from the UK here is its more recent place in history as the site for the General Headquarters of the British Army under Field Marshal Haig during World War I. An exhibition commemorating these events can be seen in the Citadelle. The general staff moved here in March 1916 from St Omer as the Western Front widened in favour of the Allies, reinforcing the already-large military presence in the area. When the Germans occupied Montreuil during the Second World War, a statue of Haig on horseback that had been erected in the town was taken down and is believed to have been destroyed. It was rebuilt in the 1950s, using the original mould. Montreuil’s historic role in such conflicts belies today’s sleepy atmosphere. 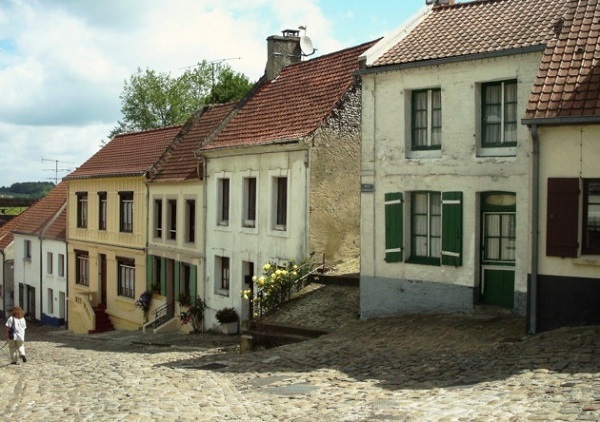 The word most people fasten on when seeking to describe the town – still called officially Montreuil-sur-Mer, though its passage to the sea via the river Canche silted up long ago – is “charming”. It is a miraculously-preserved little medieval community, just round the corner from the Channel, pint-sized, with cobbled streets, ancient houses to admire and churches to explore, all in an area that for most visitors is easily walkable. For my first visit, I was based at the Hermitage Hotel, housed in a grand building dating from the 19th century. It offers good value and good-sized rooms and is strolling distance from most of the attractions, including a selection of excellent restaurants. The hotel has a classic bar and a buffet breakfast is served every morning. The Wine Society shop used to be housed in the hotel’s courtyard. Elsewhere on the hotel front and further up the scale with rates to match is the Chateau de Montreuil, a four-star manor house opposite the ramparts. It boasts individually-decorated rooms in the main house and a garden annex. All rooms have minibars and satellite TV and some have four-poster beds. There are also three cottage suites with separate sitting rooms and whirlpool tubs. Even if you don’t stay here, it’s worth investing in a meal at its gourmet restaurant. There is a lunch menu at €28-€37 depending on number of courses, while dinner costs from €78 for three courses. There is also a seven-course tasting menu at €100. Other hotels making the top 10 list include the Cog, Auberge de Grenouillere, Les Hauts de Montreuil, Hotel le Vauban and Les Clos Des Capucins. A Saturday market adds to the flavour, while the selection of restaurants and their accompanying celebrity chefs is enough to keep any hungry soul happy. I sampled the chateau’s gourmet offerings, experienced simple fare at Froggy’s Tavern and, for something different, indulged in another tasting menu at La Grenouillere, in the much-praised auberge, a treat of what is described as minimalist cuisine for £70. And if you have time, and as you would expect of France, there are several more recommended places to eat, among them Le Darnetal, Salon Rodiere, L’Atelier 26, Auberge du Vieux Logis and Les Remparts. Although the Wine Society is no longer represented, there is still the chance to stock up on wine during a visit to Montreuil at nearby supermarkets. With that, excellent food and centuries of history, this pretty town is a rewarding place for a weekend or longer away, with plenty to see, learn and enjoy and a convenient base from which to explore the rest of the region. As an aside, if you should still hanker after returning home to become a member of the Wine Society, a lifetime share is £40, with no obligation to purchase, and you receive £20 off your first order.